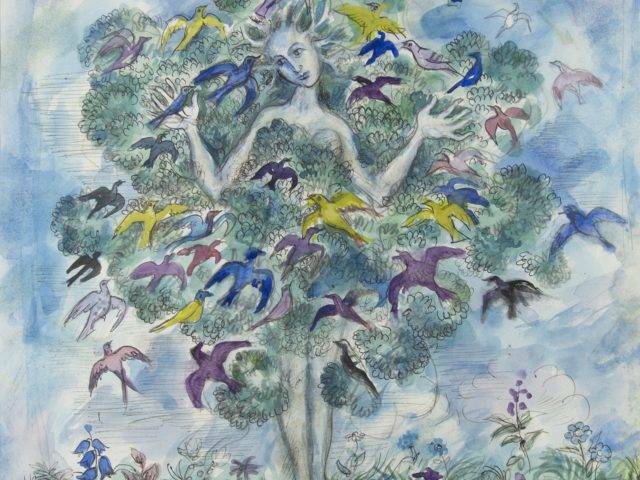 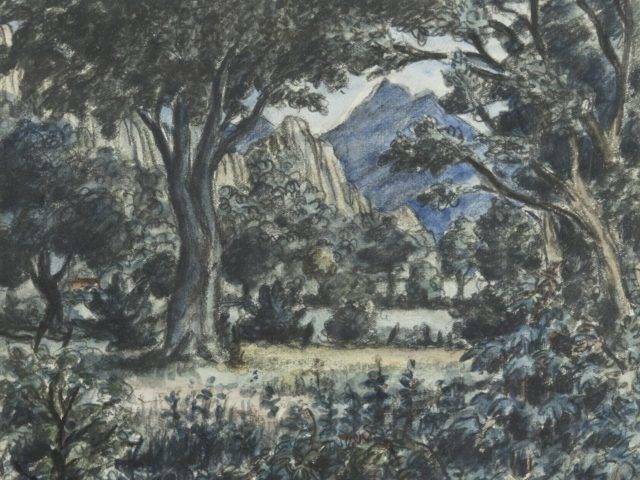 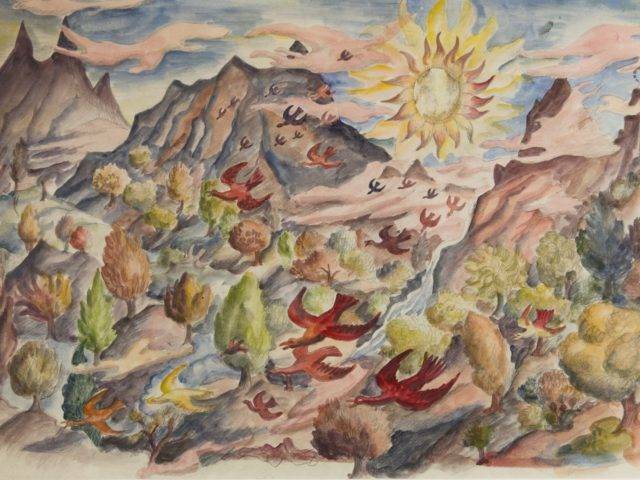 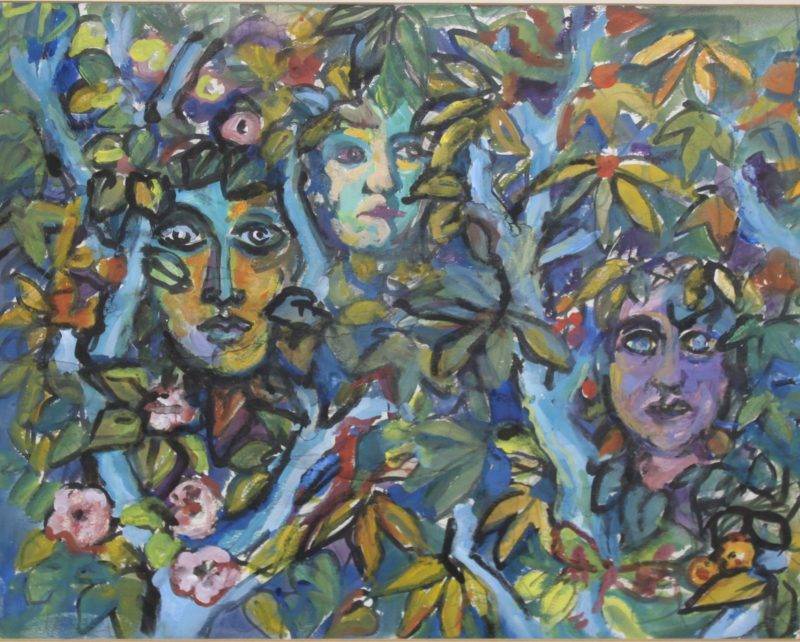 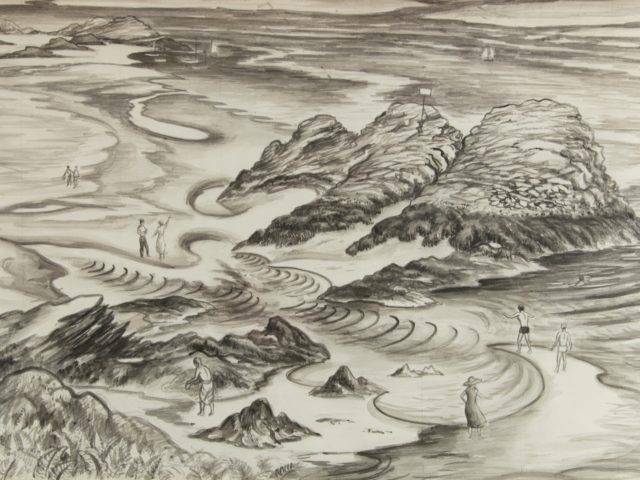 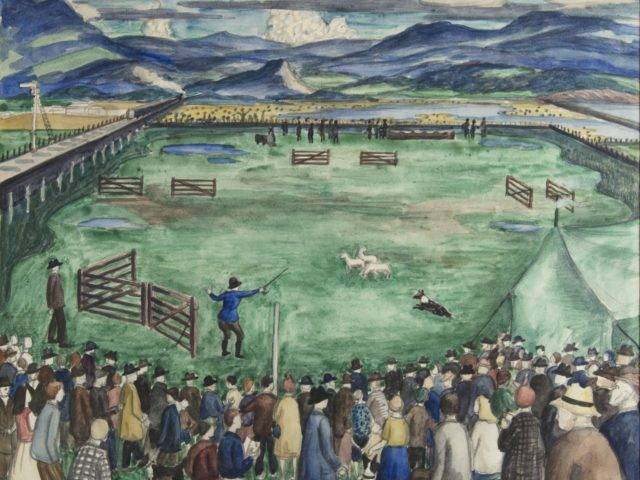 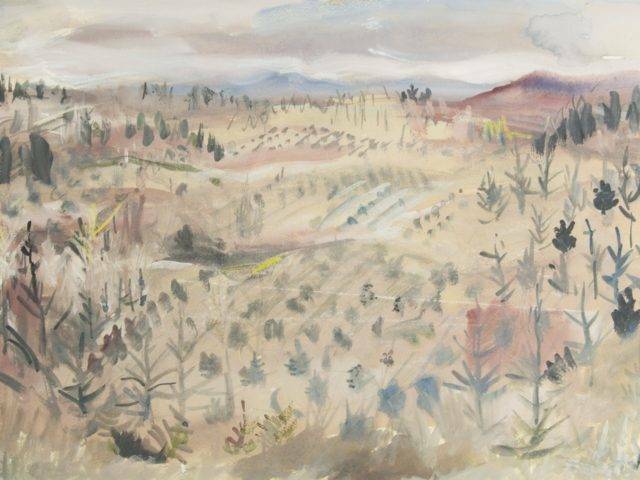 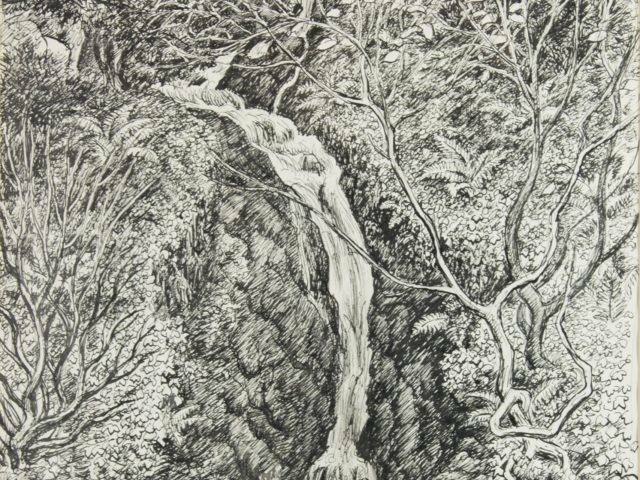 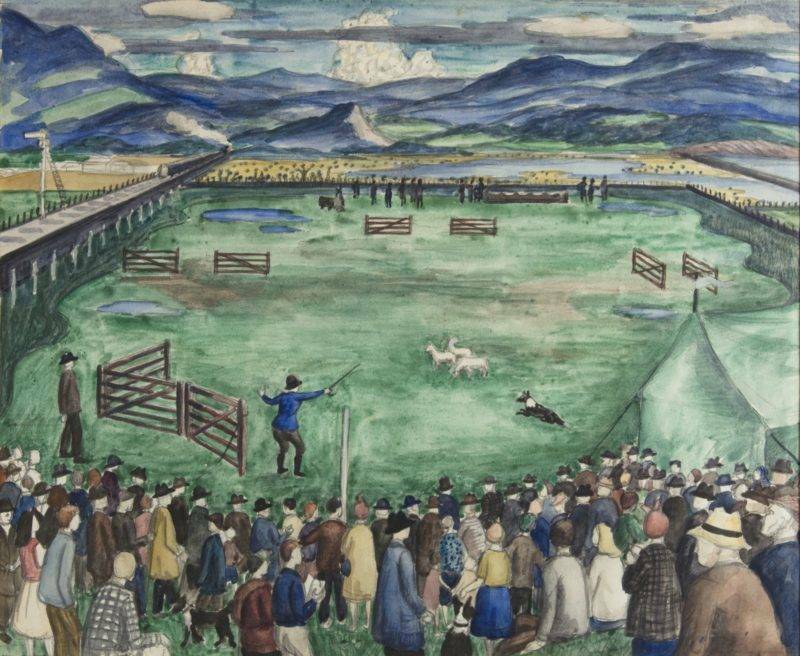 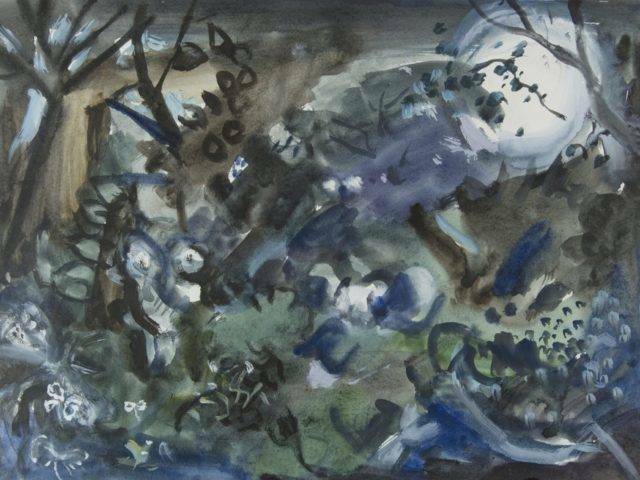 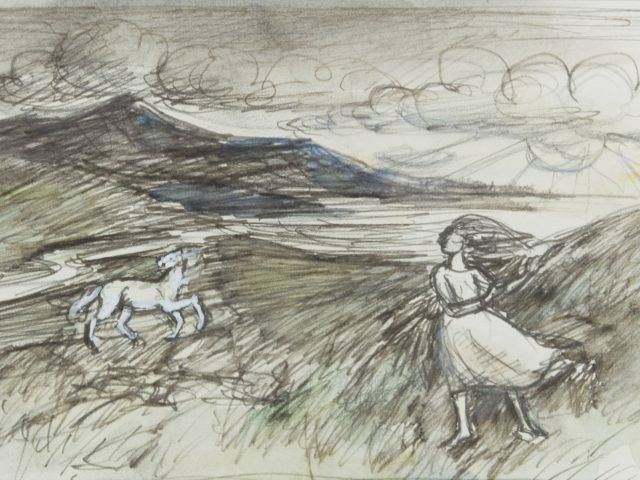 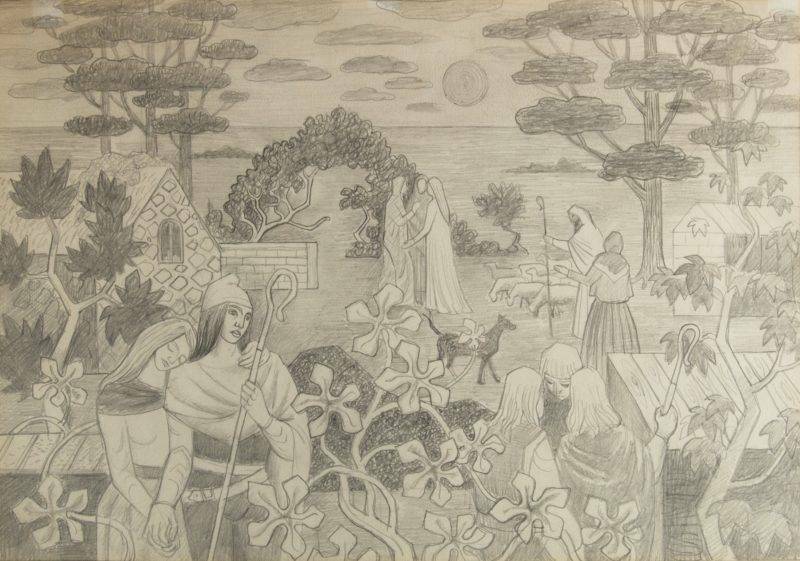 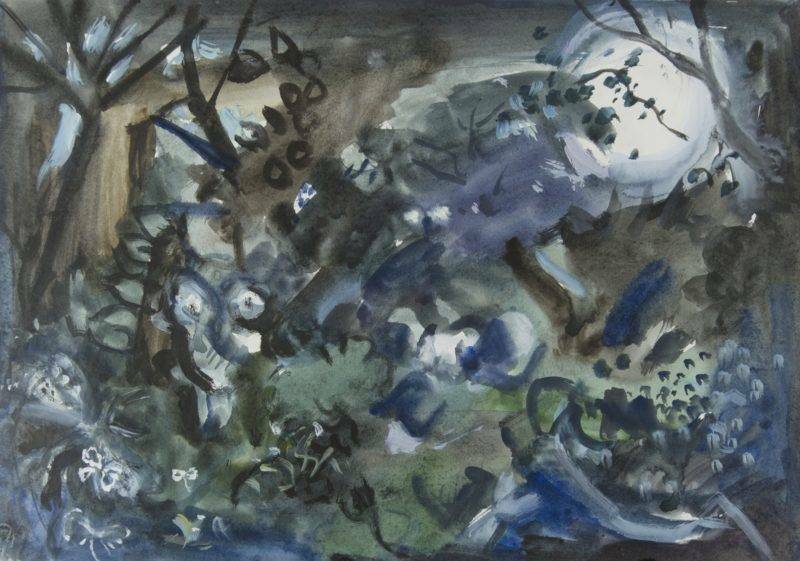 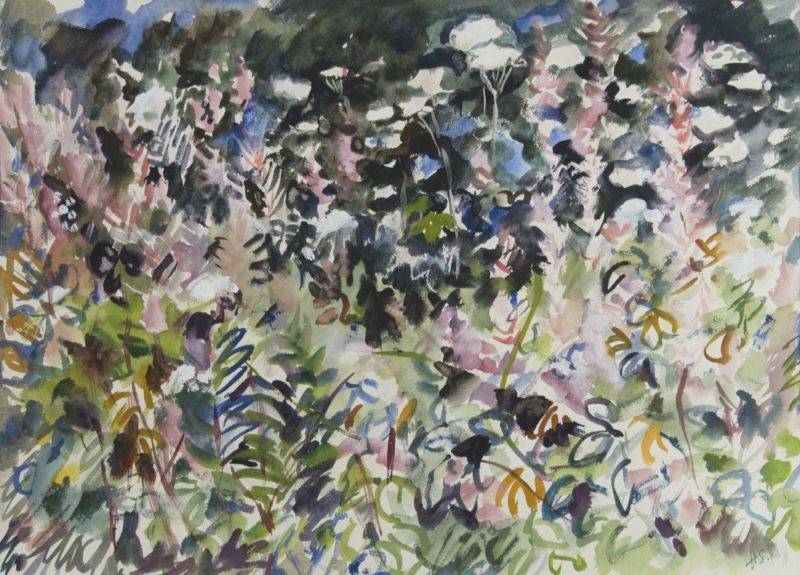 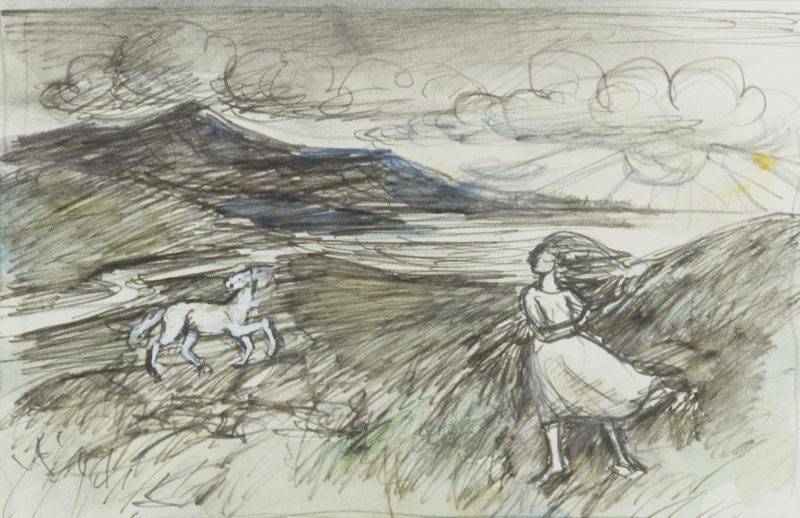 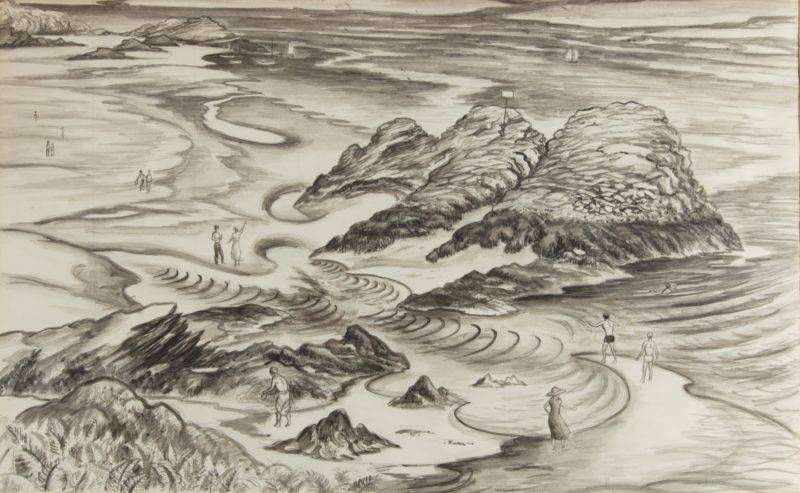 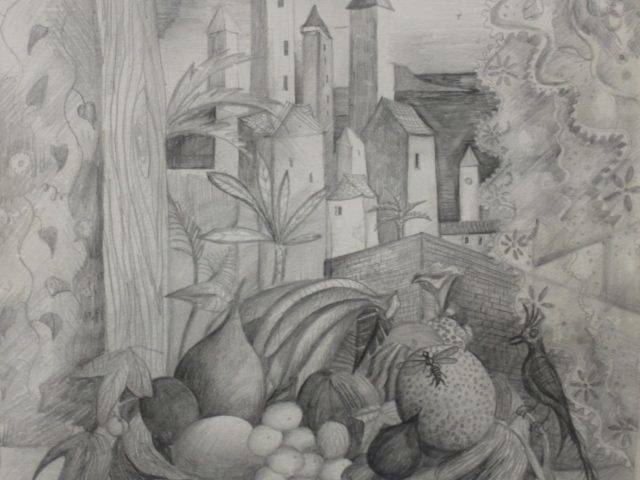 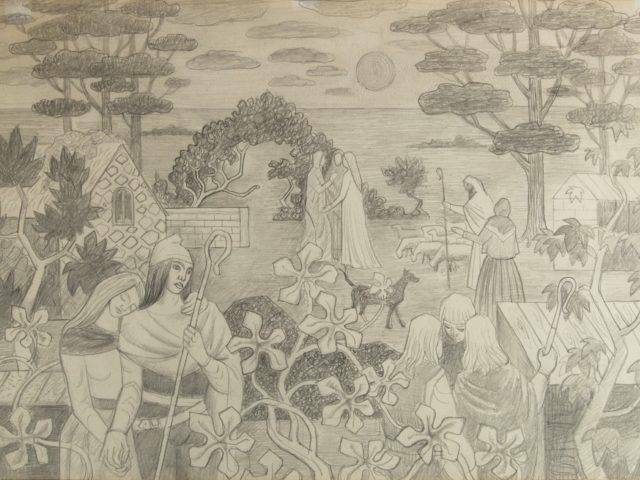 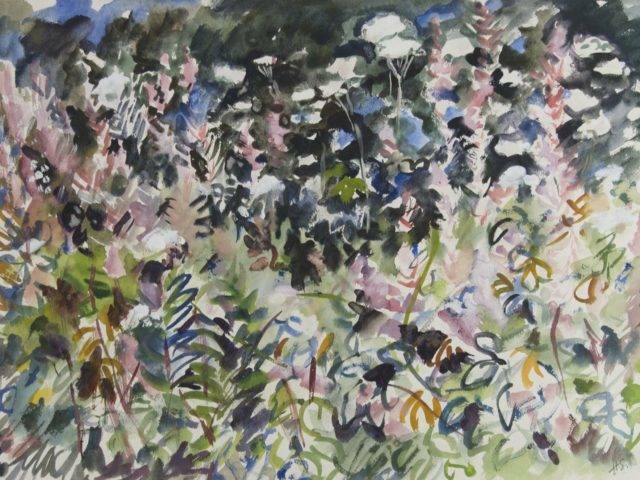 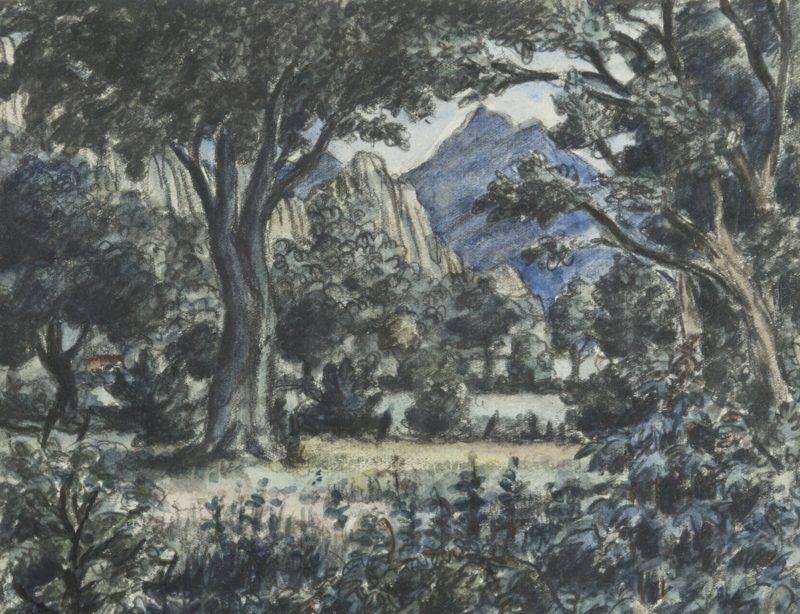 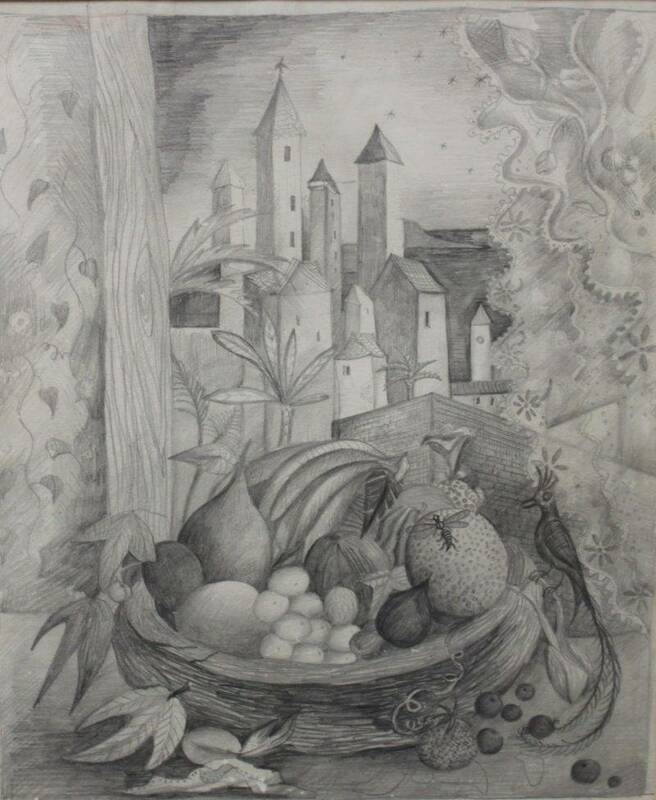 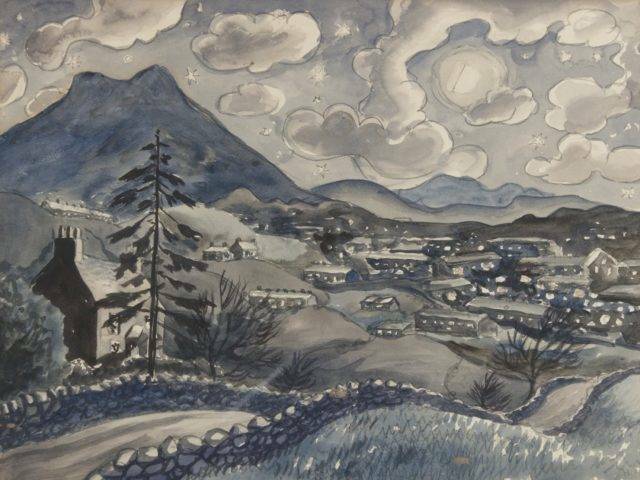 As part of the Spring Exhibitions is a collection of work by Helen Steinthal (1911 - 1991). 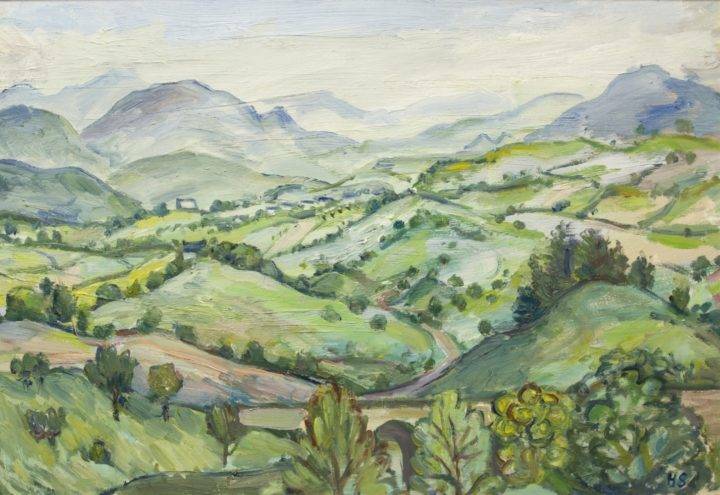 She was born in Manchester to Egbert Steinthal, a German corn merchant and Bertha Noel Steinthal, originally a French artist. 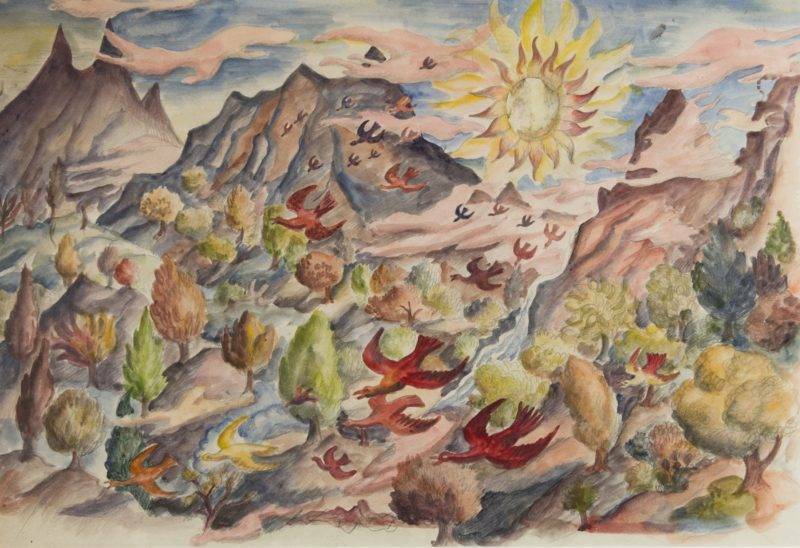 After leaving Salford Polytechnic in 1929, she studied at the Grosvenor School of Art in London before attending the Slade Art School where she studied stage design and decorative painting. 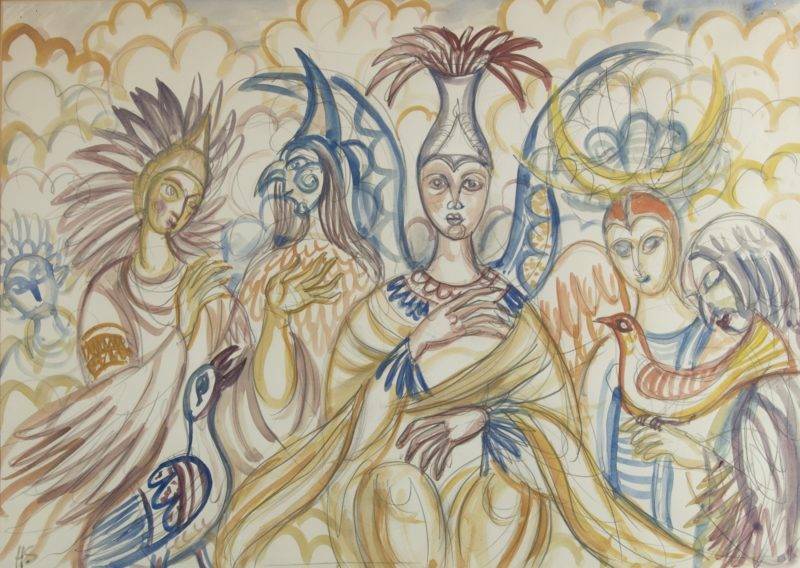 In order to stay in London, she worked in theatres, including the Old Vic Theatre, where she painted costumes for operas including Snow Maiden and Tsar Sultan. 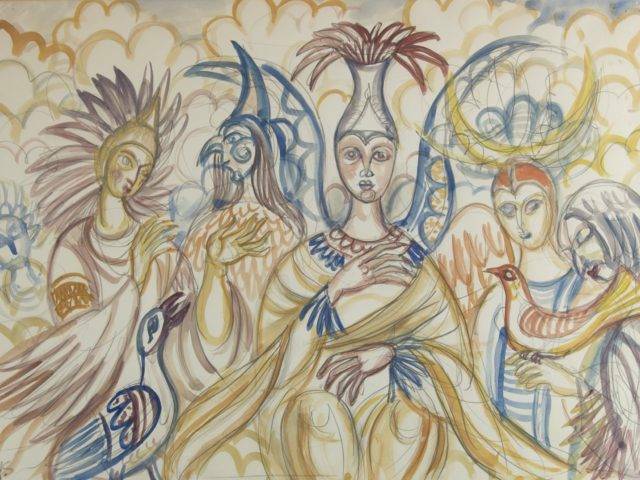 She also painted sets for Balé Rwsia Grigoriev. 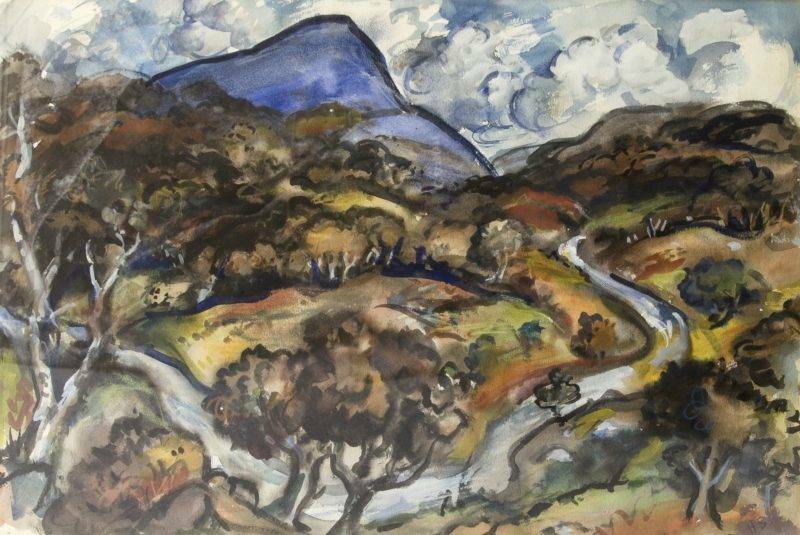 She returned to Manchester around 1938 so that she could concentrate on painting. 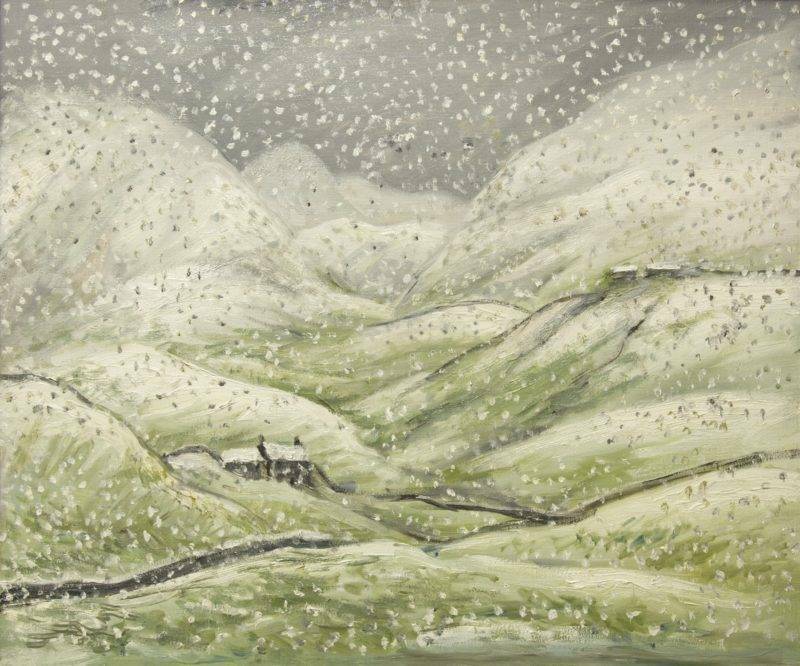 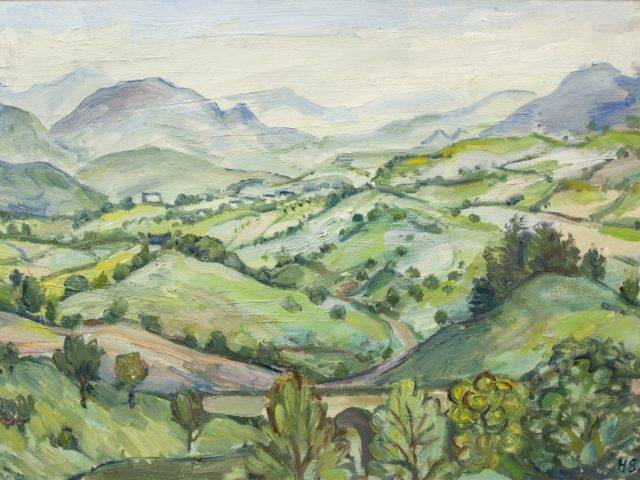 By 1939, her parents had settled in Prenteg whilst Helen and her sister, Isobel, also an artist, continued to live in Manchester, but a lorry was sent to bring the sisters home to their parents to escape the bombing. 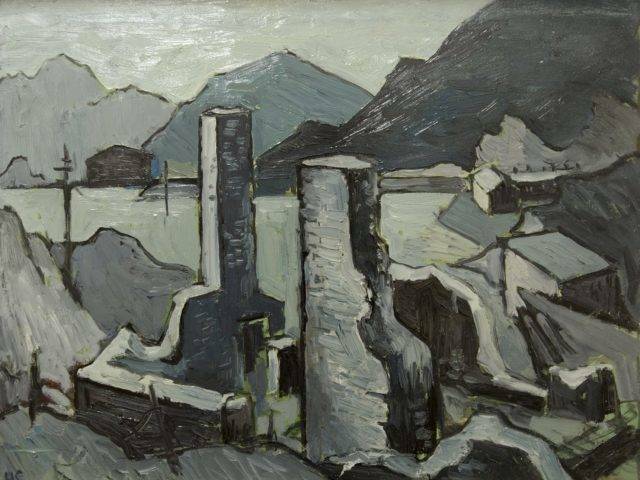 In time, the family moved to Tremadog and Helen learnt to speak and read Welsh. 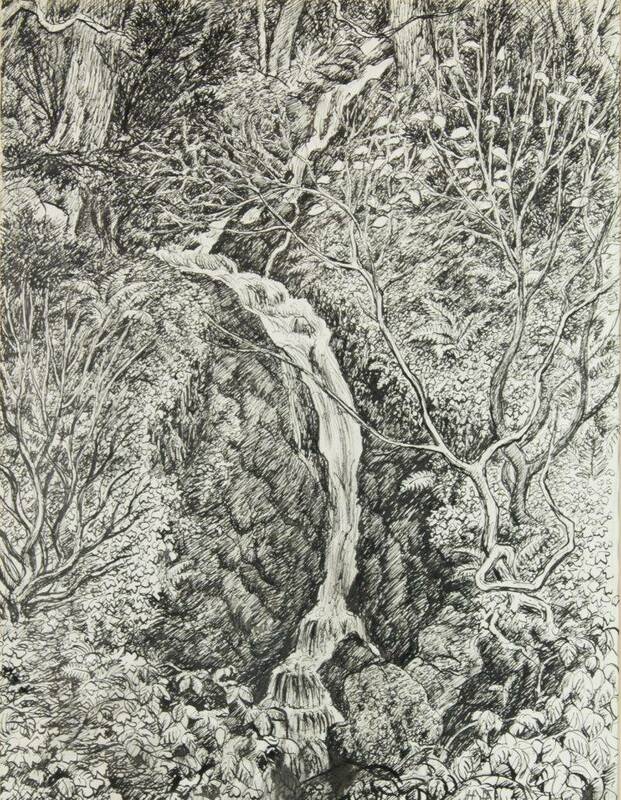 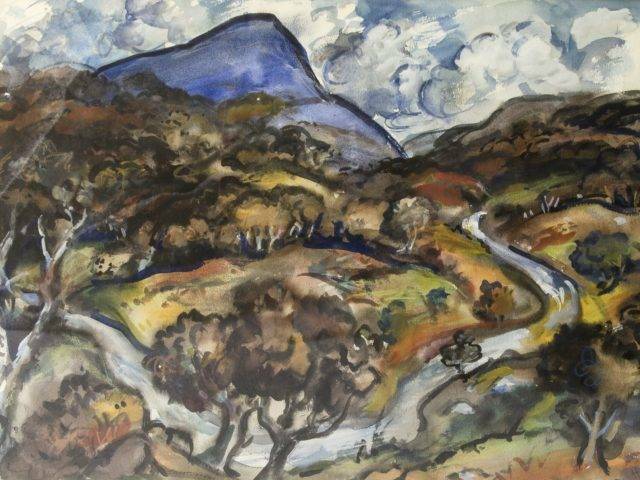 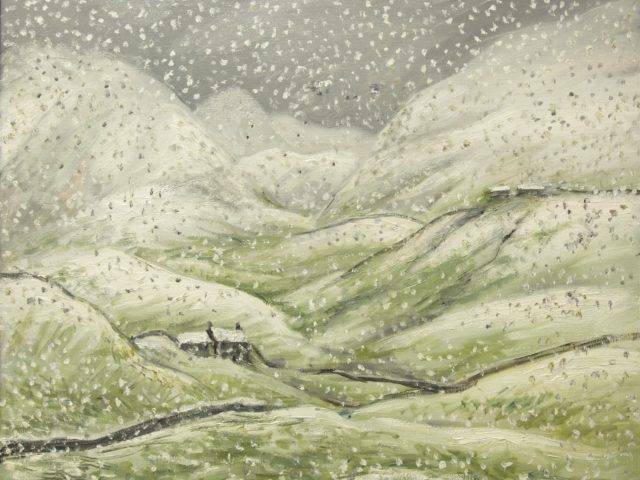 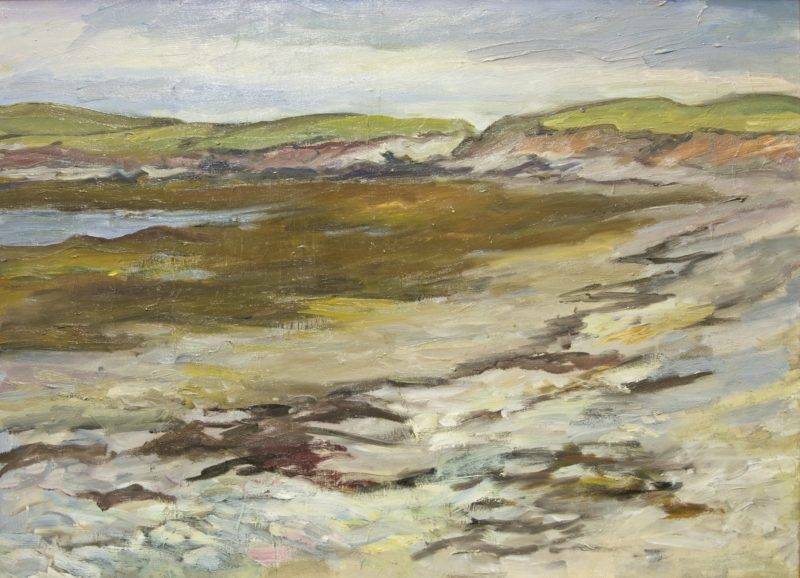 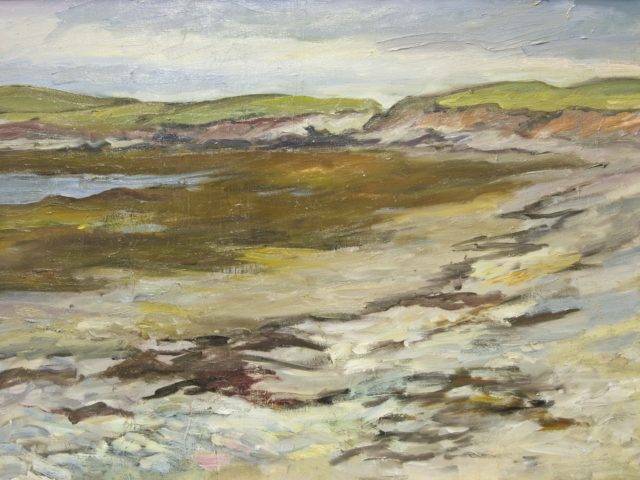 She submitted work to the National Eisteddfod and the Art Society in education in north and south Wales, Howard Roberts gallery, and she exhibited her work in open exhibitions in Manchester, Liverpool and Leeds, the Royal Academy in London, the Society of Women Artists and the Roland, Browse and Delbaco gallery. 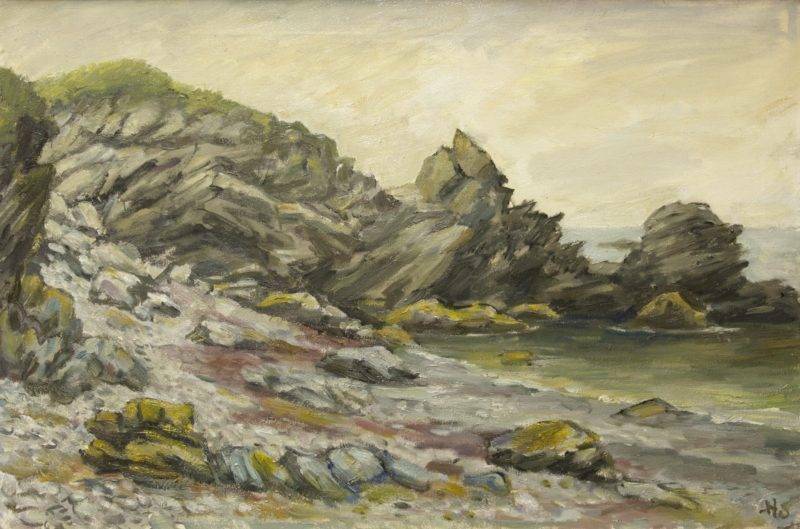 She organized her own exhibitions closer to home, Y Gegin, Cricieth, The Town Hall, Tremadog and in the numerous art shops such as the property of Frances Handley. 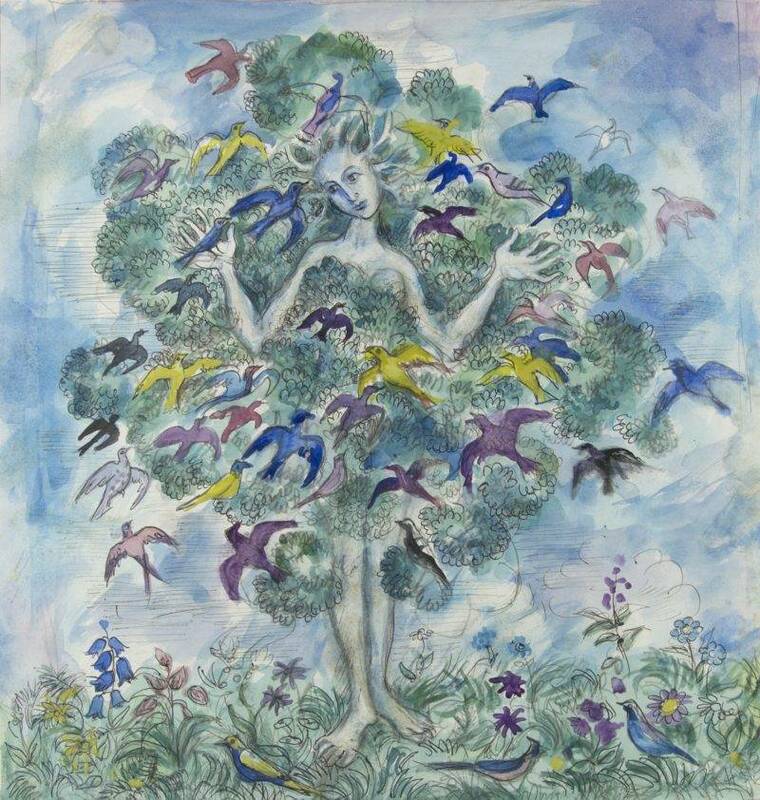 Following a long spell of looking after her infirm parents Helen continued with her career after her mother's death in 1971. 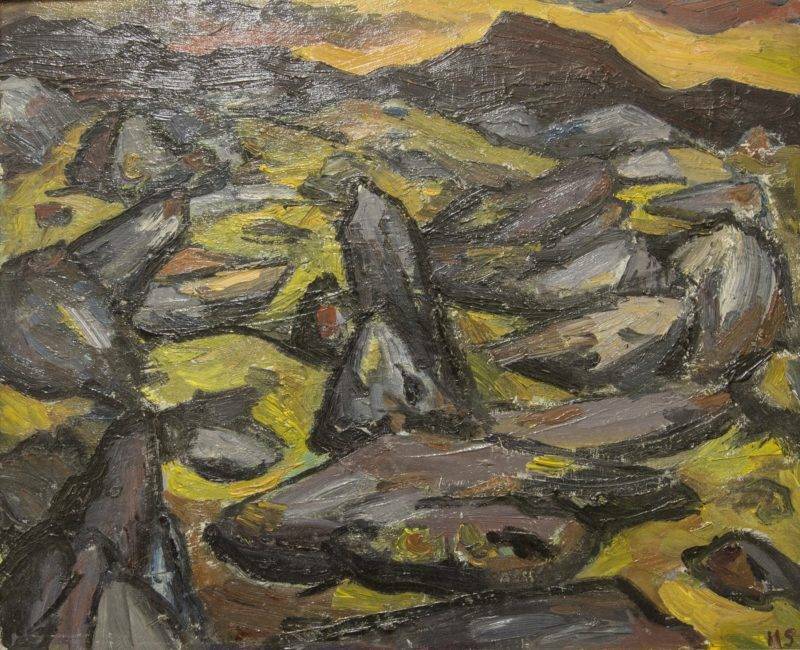 She exhibited with North Wales Group and the Cambrian Academy. 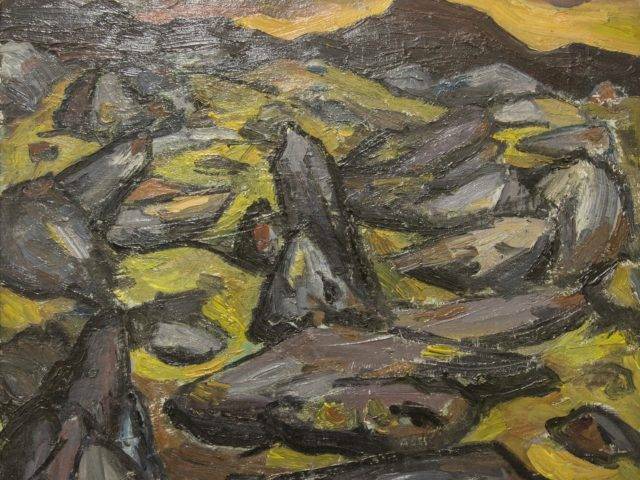 During the National Eisteddfod in Porthmadog, she had a painting in Barn and was invited by Ceri Richards Gallery, CPC Swansea to submitt work for an exhibition there. 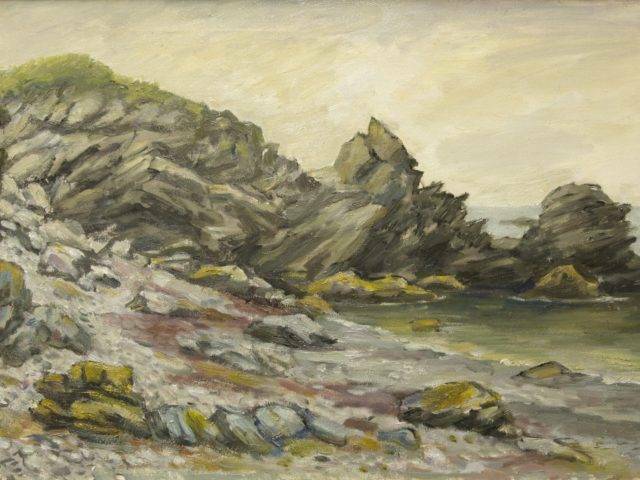 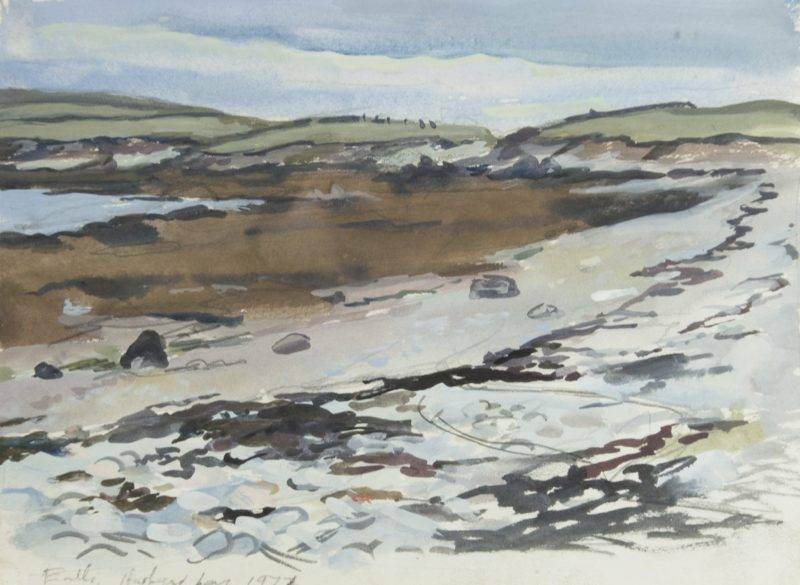 A retrospective exhibition of her work was held in Hepworth Gallery, Bath in 1990 and shortly before her death, she had an exhibition here at Plas Glyn-y-Weddw. 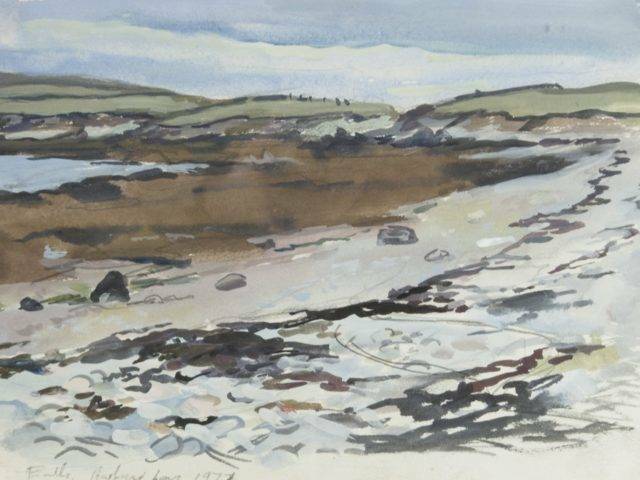 The work in this exhibition has been collected privately by the owners during the 1980's and 90's. 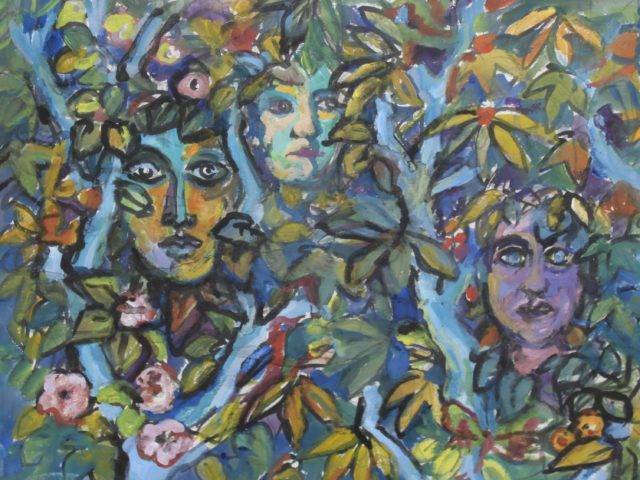 Helen's exhibition, which is part of the Spring Exhibitions 2019, will be opened by Dafydd Iwan at 2pm on March 24th. 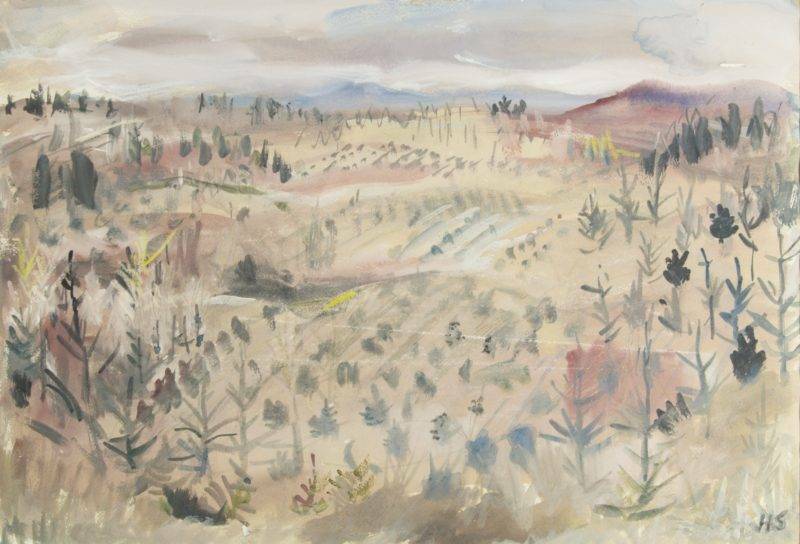 The exhibitions will continue until May 12th, 2019. 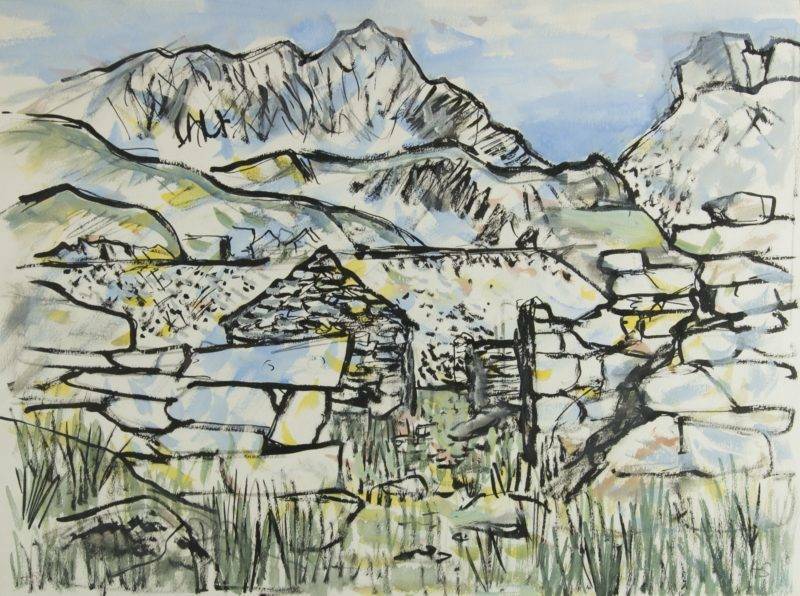 Agorir yr arddangosfa, sy'n rhan o Arddangosfeydd y Gwanwyn 2019, gan Dafydd Iwan am 2 o'r gloch ar Fawrth 24ain. 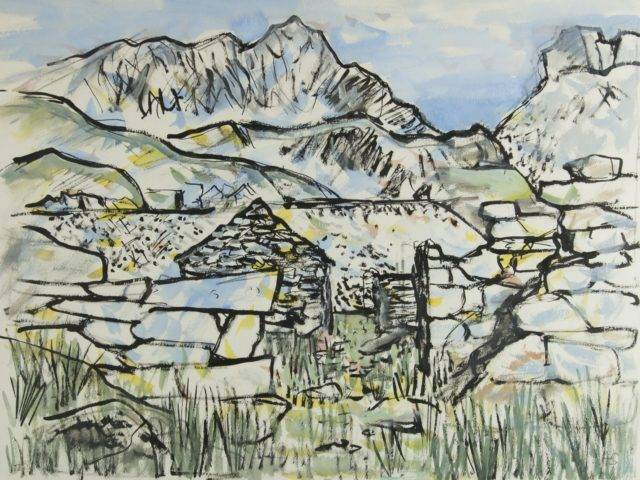 Bydd yr arddangosfeydd ymlaen hyd Mai 12ed, 2019.